When beat cop Don Herion and his partner responded to shots fired on December 16, 1959, they didn't know that they had heard the final, fatal salvo in one of the most contorted conflicts in the history of organized crime. 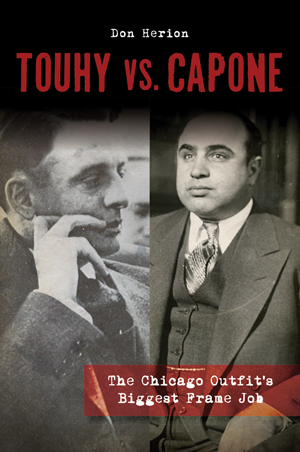 A canny bootlegger, Roger Touhy had survived a gang war with Al Capone, false imprisonment for a faked kidnapping, a prison break and recapture. His story dragged in all the notorious men of his day: Frank Nitti, John "Jake the Barber" Factor, Mayor Cermak, Melvin Purvis, J. Edgar Hoover, Baby Face Nelson, Dan "Tubbo" Gilbert, FDR and JFK. As Touhy's life was ending on his sister's front porch, Herion's quest to unravel the tangle of events that led to his assassination had just begun. A native of the Windy City, Don Herion joined the Chicago Police Department in 1955. On a cold winter night in 1959, he was called to the scene of Roger Touhy's murder. Herion retired after forty-eight years on the job, including two years of undercover work for the Chicago Crime Commission. He is the author of Pay, Quit or Die and The Chicago Way.